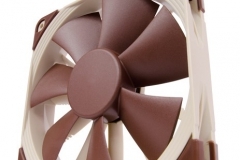 Noctua fans stand out generally because of their colour – love it or hate it, there is no mistaking one for another brand. 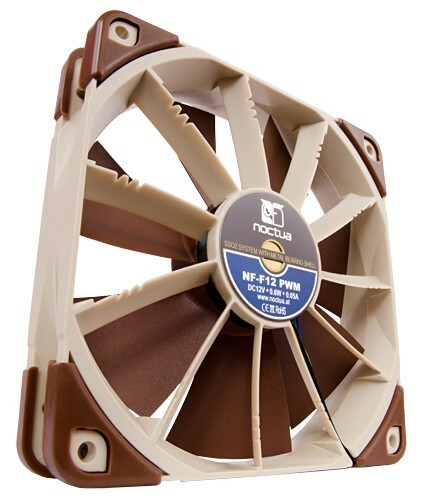 The 140mm Noctua fan also stood out because of its shape (being round). 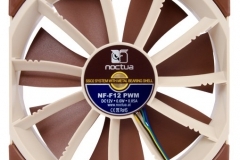 Noctua have now released the NF-F12 PWM which has some unique differences which set it apart from the rest of the 120mm PC cooling offerings. 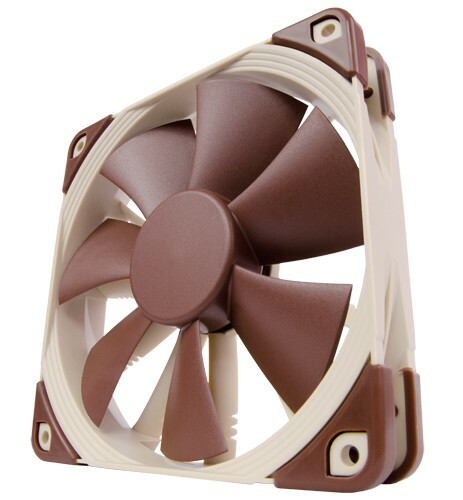 Thanks to our friends at Noctua, we received a pair of these units to test on both a heatsink and a Corsair H100 radiator scenario. This is Part I where we walk through testing on a Thermalright Ultra 120 Heatsink, as a follow up in Part II, we test these fans on a Corsair H100 unit to see how they fare against the Corsair stock fans. 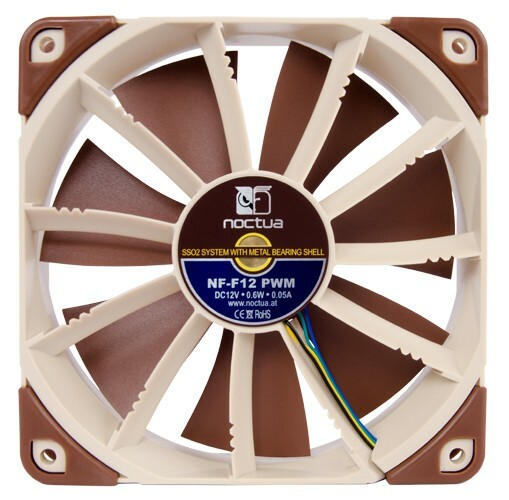 The key differences to the other Noctua 120mm fans can be seen straight away. 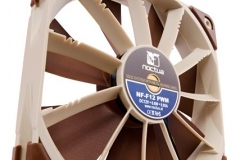 The 11 guide vanes that radiate out from the centre of the fan and the rubber anti-vibration pads on the corners make it hard to get this confused with the other models. And now some of our “less professional” photos from us to show some things that were not apparent in the Noctua image gallery set. No shortcuts were taken with the accessories either, you get both rubber mounting plugs and metal screws, an extension cable, a Low Noise Adapter (LNA) and a Y cable to connect 2 of these units to the same PWM controller. At 0.6W power consumption, you don’t have to worry about stressing the fan header now either. Note the length of the PWM cable – nice and short but not too short and the braiding is up to the usual Noctua standard.